Get your ideal customer or client to come to YOU on LinkedIn. The biggest mistake people make is making their profile all about them. With a few tweaks, you will draw more people to you because your expertise is what they want and need. The free search engine on LinkedIn is so much more robust than people think. Finding the right people to connect with on LinkedIn could be business changing. You can share meaningful content on a daily basis without constantly being on LinkedIn. More importantly, ensure you're sharing the right content to get those connections interested in YOU. If you’re a small business owner looking for that big break, this is for you. Stop cold calling and attending networking events. Instead, get those leads coming straight to you because you’re visible on LinkedIn. When you’re seen as a superstar in your industry, people will want to work with you... and this will help you get there! Hi! I’m Christina Nicholson - a former TV reporter and anchor who has worked in markets from New York City to Miami. I am still telling stories, but instead of doing it for a newscast, I’m doing it to help businesses like yours grow. 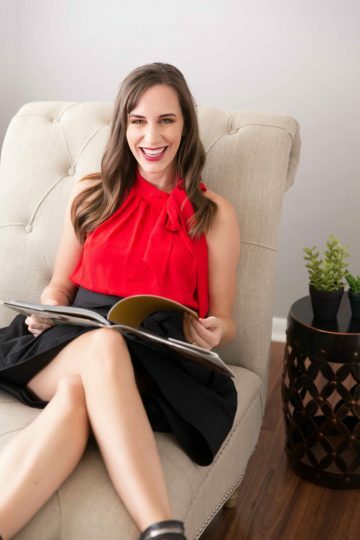 With my public relations agency, Media Maven®, and my podcast Become a Media Maven®, I help entrepreneurs reach thousands, even millions, of their ideal customers or clients in minutes (instead of months) through the power of media without spending big bucks on advertising. You can still see me in front of the camera as a host on Lifetime TV, in national commercials, and read my work online in Huff Post, Inc. Magazine, Fast Company, and Thrive Global.